American historian Deborah Lipstadt is shocked when British academic David Irving interrupts her lecture – and her professional future is threatened when she is the target of his libel suit. With the burden of proof upon her, Lipstadt’s legal team, led by Anthony Julius QC (Scott), must demonstrate that Irving knowingly obscured evidence of the Holocaust. 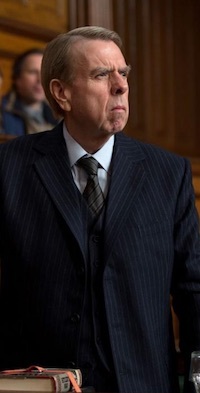 Weisz and Spall both excel as the stubborn intellectuals, with Irving’s arrogance and self-deception especially showing Spall at the height of his powers. 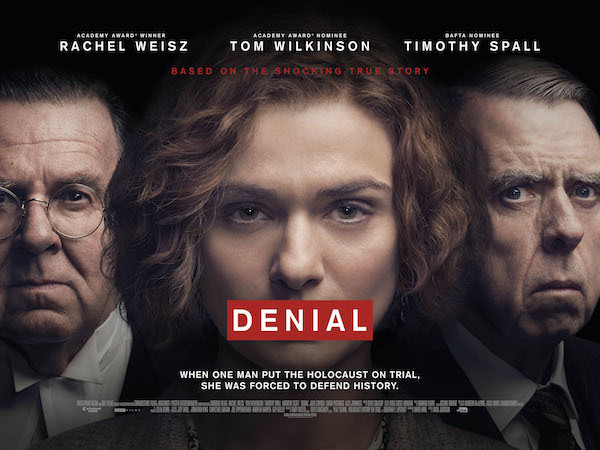 Adapted by David Hare from Lipstadt’s book “History on Trial”, this is “One of the most powerful and riveting courtroom dramas ever made” (New York Observer). Here are links to two articles about the film from The Guardian: the recent Review accompanying the UK release and an earlier piece by David Hare, written at the time of the Toronto International Film Festival premiere, on the issues he faced in bringing Lipstadt’s book to the big screen. evening show almost sold out, extra screening 5th April – apologies for the gap between shows, that’s the earliest slot we could do!